Custom exhaust duct work to carry chiller system heat out of the building in the summer and inside in the winter. Everything in green fabricated in-house. This machine uses vacuum to draw parts from a series of stamping stations to sort parts produced by each line. 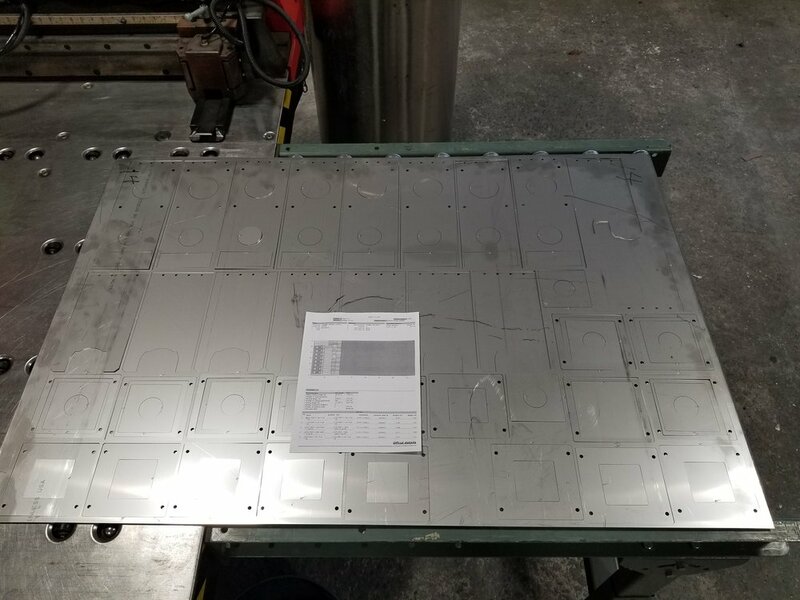 In the event of a failure of one station, it’s product remains separated from the remainder of the stations so that rejectable parts do not get mixed with good parts. Before and after of a large machined casting. A formed and welded stainless steel container with perforated metal bottom for drainage. Some 1” hot rolled bar, formed as part of a snow plow “shoe”. The laser cut panels in the back are going to be welded to the shoe to provide mounting points. 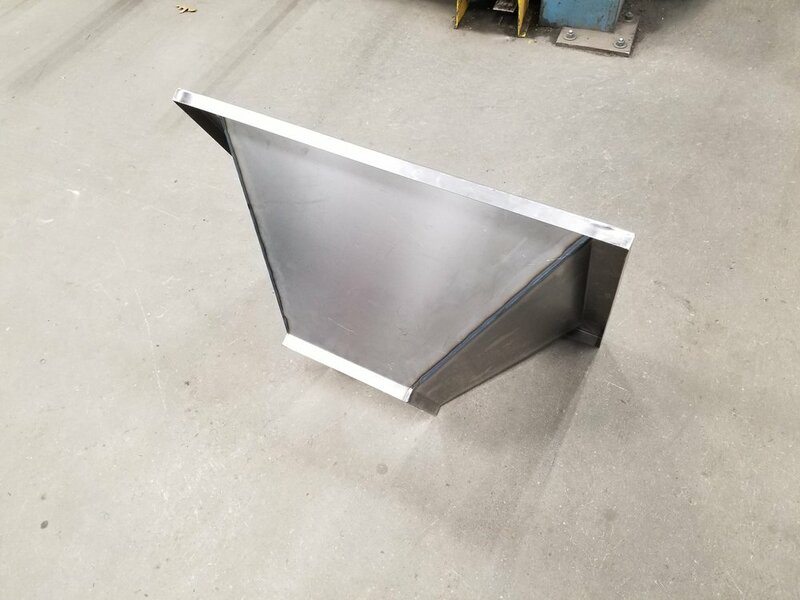 A welded and machined prototype assembly for a customer. A weld repair of a wood fired hot-tub heat exchanger. The water level dropped causing some major damage to a section. A lap panel was the ideal fix for the application. A laser cut bar backsplash, made from 11 gauge stainless steel. 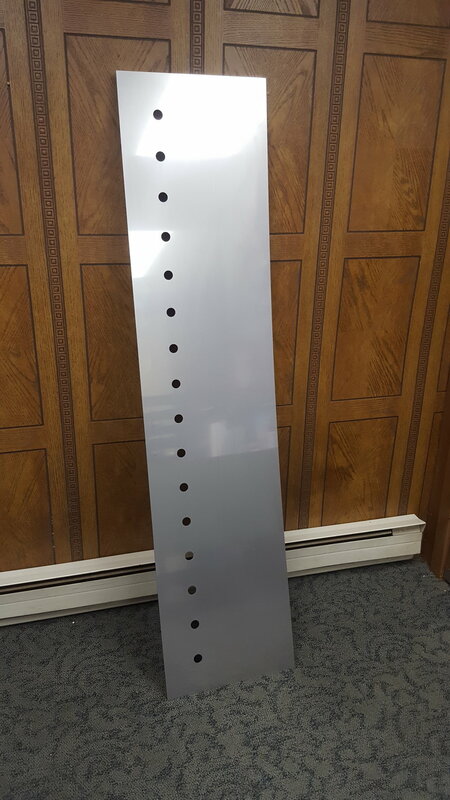 These perforated metal screens are used to remove process fluids from manufactured parts. 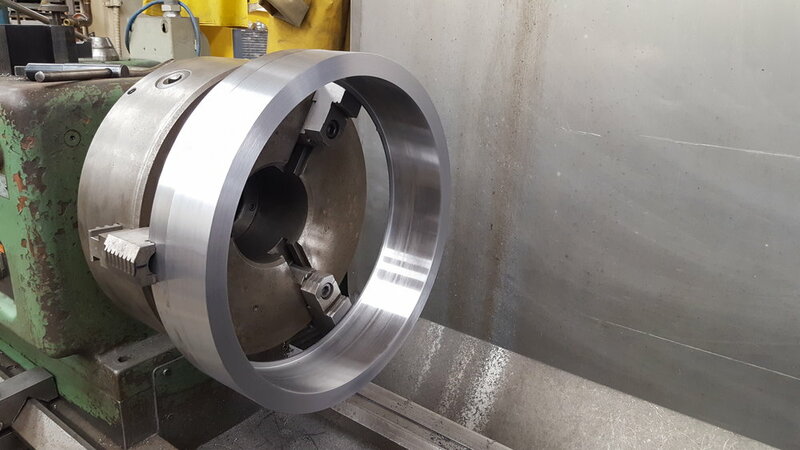 They are assembled and welded into housings which are fabricated in-house as well. Laser marked and cut tap handle for a local brewery. A batch of laser cut parts still in the nested state in the sheet. The stripped “skeleton” from a laser cut sheet of material. Another angle of the exhaust.